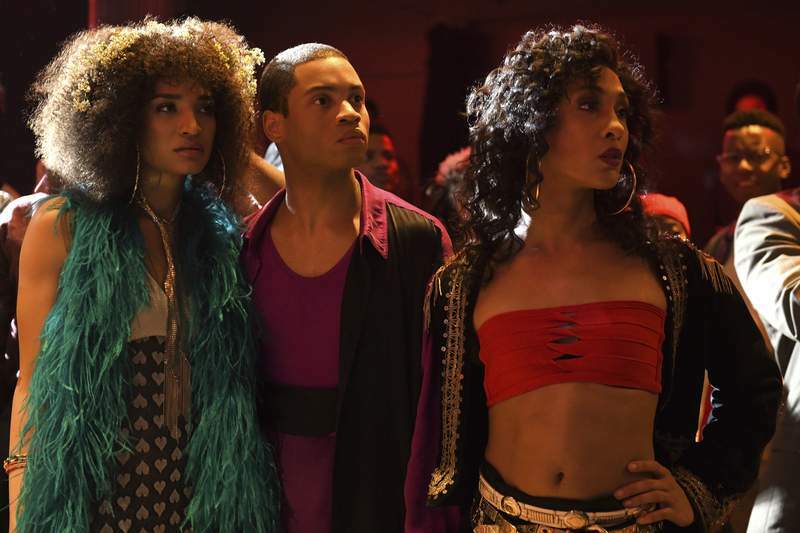 FX Indya Moore, left, Ryan Jamaal Swain and Mj Rodriguez star in "Pose." Before producer Ryan Murphy starts his Netflix deal, he still has horizons to explore for the networks that have been his television homes. The mentor of “American Horror Story,” “American Crime Story” and “Glee” offers another cutting-edge drama as FX's “Pose” premieres Sunday, June 3. Set in New York circa 1986, the “dance musical” examines various facets of the city's society as mirrored by a New Jersey couple (played by Kate Mara and Evan Peters) drawn to the locale. Also featuring James Van Der Beek and Charlayne Woodard, “Pose” includes the largest number of transgender performers yet cast as scripted-series regulars, with Dominique Jackson and Indya Moore among them. Murphy explains his starting point for “Pose” – along with fellow executive producers Brad Falchuk and Nina Jacobson, and co-creators Falchuk and Steven Canals – was “Paris Is Burning,” the award-winning 1990 documentary about the New York drag scene during the 1980s.